James Frey knows how to get people talking. In 2005, his memoir A Million Little Pieces was on everyone’s nightstand, including Oprah’s. After revelations that parts of the book had been fictionalized, Oprah had Frey on her show to face her wrath and public condemnation. Frey’s latest venture, the content production company Full Fathom Five, has generated more publicity and controversy, as it looks to tap into the young adult fiction market that turned Harry Potter andTwilight into international crazes. The company’s most successful project so far is the novel I Am Number Four, part of the Lorien Legacies series. Published last August, the novel has spent eight weeks on the New York Times Best Seller list for Children’s Chapter Books, and a film version is set to be released by Dreamworks. Frey’s concept for the series imagines alien teenagers with special powers living on Earth after fleeing a hostile invasion of their home planet, Lorien, by the Mogadorians. Each teen is identified by a number given to them by a Loric elder, who cast a charm dictating that they must be killed in sequence. I Am Number Four opens a decade after the Lorien ship lands. In the novel’s prologue, the Mogadorians find and kill Number Three. Number Four, now a fifteen-year-old boy, learns of the death when a scar forms on his ankle while sitting with friends on a pontoon boat in the Gulf of Mexico. Knowing he is next in line to be killed, he jumps into the water and swims the half-mile to shore, underwater most of the way. Number Four and his guardian Henri pack up and leave their house in Florida to move to Paradise, Ohio. On their drive, Number Four chooses a new name, John Smith, and Henri forges new documents for them both. The remainder of the novel covers John’s attempts to fit in at school and avoid doing anything that will alert the Mogadorians of his location. In Paradise, John meets and immediately falls for Sarah Hart. As Sarah begins to spend more time with John, her ex-boyfriend, Mark James, the school’s football star, becomes jealous and the conflict between Mark and John drives the action in the first half of the novel. The attachment to Sarah holds another danger for John, however; finally connecting with friends, he no longer wishes to live on the run. That attachment leads John to use his powers to rescue Sarah from a fire, alerting the Mogadorians to his location and setting up for the climactic finale. 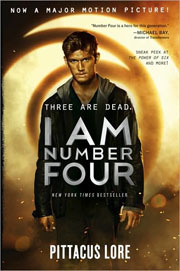 Officially, Harper Collins promotes I Am Number Four as written by Pittacus Lore, Lorien’s ruling elder. Unofficially, the novel is the product of two authors, Frey and Jobie Hughes, who was still an MFA student when Frey offered to work with him. Although Hughes’s website identifies him as a “#1 New York Times Bestselling Author,” his contract with Frey subjects him to a hefty penalty if he takes public credit for the book that put him on the Best Seller list. The controversies surrounding the contracts Frey has his authors sign have dominated the articles about I Am Number Four. 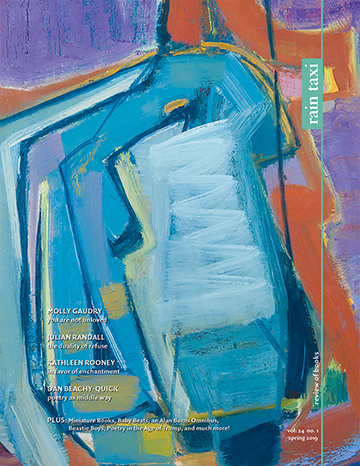 In her New York magazine piece about Full Fathom Five, Suzanne Mozes criticizes Frey’s practice of recruiting MFA students to write content as exploitive because of the lack of control it offers to collaborating authors. She makes it clear that Frey is a more interested in reaping the revenues of the next Twilight than he is in launching the career of the next Stephanie Meyers. Mozes seems to be insulted by Frey’s unapologetic commercialism, but the idea that a content production company is interested in selling content shouldn’t surprise. Rather, it’s other young adult authors who have a right to feel insulted; implicit in Mozes’s comment that “Hughes didn’t go to get an MFA to become a genre writer” is the idea that young adult fiction is an inferior form of writing. Perhaps Mozes’s beef actually lies with Twilight; critics pan the series’ characters as self-absorbed, and its tendency to delve into melodrama as pandering. Yet, teenagers are prone to both melodrama and self-absorption, and the best writers recognize and use that. Reading I Am Number Four, one gets the sense that Frey and Hughes wanted the replicate the success of Twilight while avoiding its “non-literary” shortcomings. Like Twilight, their novel crosses two highly marketable genres, high concept sci-fi and teenage romance. But missing from the formula is the melodrama—or for that matter, any drama at all. This absence stems from another: the novel’s lack of character building, which fails to create any real tension. Nearly all of the characters feel like wooden stereotypes. Mark James is the same flat bully character seen in sitcoms. When the novel attempts to flesh out some characters, like telling readers about the wife Henri left on Lorien, it fails to make these characters’ growth a priority. Only Sam, John’s best friend in Paradise, has a backstory that relates to and explains his journey in the novel. The shallowness of the characters hinders the development of the central relationship in the book, the romance between John and Sarah. Sarah comes off as angelic, capable of elevating herself above the petty drama of her classmates while still remaining popular with all of them. Perhaps she is supposed to be contrasted with Twilight’s protagonist Bella Swan, but while Bella can be frustratingly inept in ways that I’d never want my own daughter to be, she still feel as if she is someone’s daughter. That’s not the case with Sarah Hart: in a book filled with aliens pretending to be humans, she reads like a human pretending to be an alien. The authors don’t tap into what makes great recent young adult novels worth reading. The characters in Jay Asher’s Thirteen Reasons Why and John Green’s award-winning novels have shown the genuine pathos that teenagers can bring to a novel. Markus Zusak’s The Book Thief, a beautifully crafted and searching novel about a young girl living in Germany during the Holocaust, reveals the heights to which high concept novels can aspire. Unfortunately, I Am Number Four reads as if its authors have fallen into the very trap they wanted to avoid: thinking young adult fiction is a teenage wasteland and serving up reheated tropes to match.